Hotels in London comes alive in the summer with a wealth of culture, arts, galleries. It's open-air theatre and musical entertainment keeps everyone entertained. It is also the perfect season to simply stroll around our neighbourhood. With Hyde Park vibrant in colour, blooming with flowers and pristine, manicured gardens. 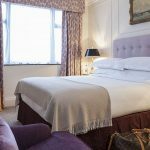 London has a wide variety of hotels across the city centre and surrounding and rural areas. The city hides a wealth of history and many fascinating discoveries. Contemporary chic and glamorous. 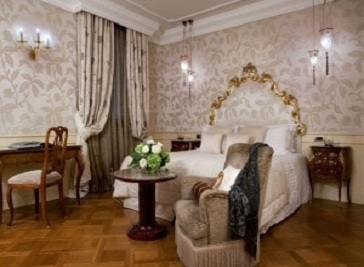 Baglioni Hotel offers the ultimate Italian experience. It's placed in the heart of the City of London. Just opposite Hyde Park and overlooking Kensington Gardens. The hotel offers an exclusive location close to The Royal Albert Hall, Harrods, and Knights-bridge. Luxury boutique hotel, with a jaw-dropping décor. It's exclusive and ever-changing art exhibitions, plunge pools, and playful touches. With its private entrances and balconies and bespoke-scented rooms. Guests can expect the unexpected at The Exhibitionist Hotel! Described as a grand hotel in miniature. The Capital was one of London's first boutique hotels. The hotel has been welcoming guests since 1971. The Capital is a charming 5 Star Boutique Hotel, located on Basil Street. Placing it just steps away from Harrods. The heart of one of London’s smartest destinations for shopping, dining and culture alike. 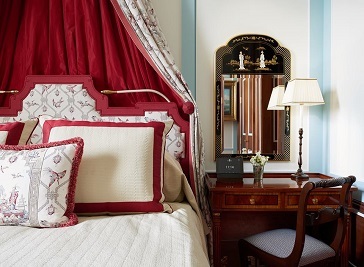 In a vibrant and elegant grand residence honouring Regency-era luxury, a stay at The Lanesborough is exceptionally refined - with esteemed English service and an illustrious sense of style. 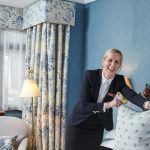 The hotel's central location, at the entrance to Knightsbridge from Hyde Park Corner, leaves just a short walk to Harrods, Harvey Nichols and the designer boutiques of Sloane Street, and easy access to all of London’s most famous theatres, galleries, museums and historical sites.